Actually, I first connected with American Girl long before anyone at the company knew that I was a writer! 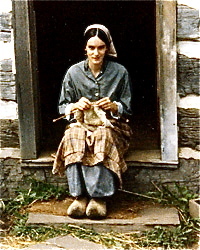 When the first books and dolls were introduced in 1986, I was working as a curator at Old World Wisconsin, a large outdoor museum. 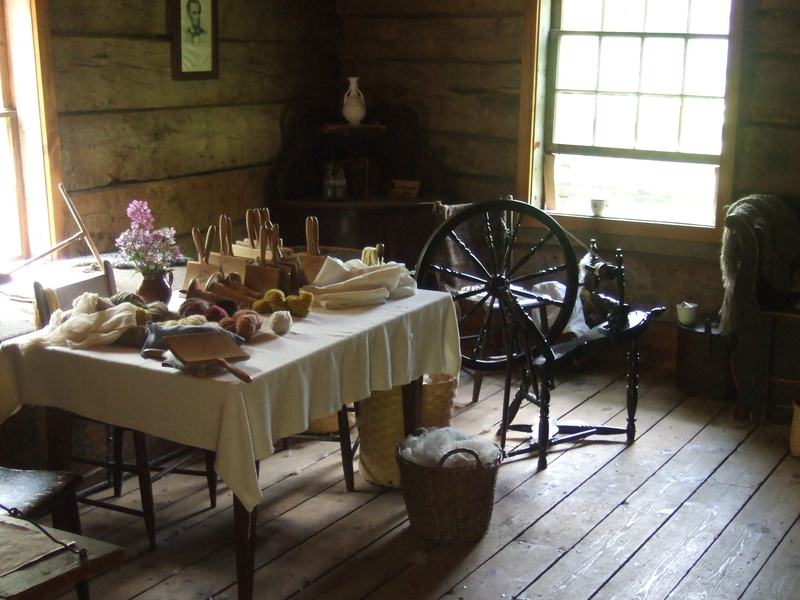 During the day I got all kinds of hands-on experience with historical activities, from gardening to cooking to crafts. I also had the fun of conducting research to support new events and programs at the museum. That’s me working at one of the Norwegian farms at Old World Wisconsin. In the evenings, I wrote historical novels. During those early years I was practicing, learning the skills I needed to be a successful writer. And I had big dreams about that! While American Girl was developing its first Historical Characters, I got a few telephone calls from researchers at the company. They called me because I was a curator, not knowing that I was very interested in writing historical stories. Sometimes the researcher was looking for a particular antique to use as a model for an object in one of the stories. In each case, I would check the antiques in Old World Wisconsin’s collection to see if we had something that might be helpful. If so, I’d take a photograph and send it to American Girl. Some of old objects are on display at Old World Wisconsin. Many more are kept in storage. Once or twice someone from American Girl read me a short paragraph from one of the stories being developed. They wanted to see if the specific details about some process or activity were accurate. I could tell that everyone involved with American Girl cared a lot about getting the details right. Whenever I got one of those calls, I was happy to help. And each time I hung up the phone I’d think, I’d love to write American Girl stories one day! After working at Old World Wisconsin for twelve years, I moved on and took a job developing programs for public television. I was still writing in my spare time, and in 1996, my first historical novel was published. 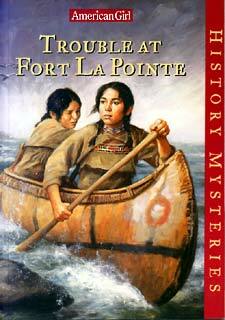 Soon after that, editors at American Girl decided to develop a new line of books called History Mysteries. Someone who worked at the company knew of my interest in historical fiction, and she recommended me. The editor in charge of the History Mysteries called and asked if I’d like to try writing one. That call was a huge surprise. That was the first time I tried writing a mystery. It took me a couple of attempts to get the story put together well, but in time American Girl accepted my manuscript. Later I wrote two more History Mysteries, Whistler in the Dark and Betrayal at Cross Creek. After Betrayal at Cross Creek was published, the company ended the History Mystery series. The editors knew how much readers were enjoying the historical mysteries, though. 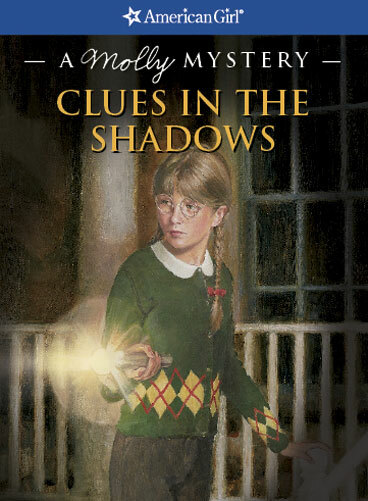 They decided to publish mysteries about the main Historical Characters. My editor invited me to write a mystery about Kit. It was a real privilege to write a story about such a beloved character! I worked hard to develop a story that fit well with the first six Kit books. I traveled to Cincinnati to learn as much as I could about Kit’s time and setting. 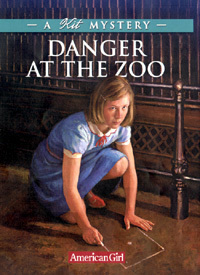 Danger at the Zoo was the first book I wrote about one of American Girl’s Historical Characters. This is my most recent American Girl book. It was fun to write a story about Molly! I was having a fine time writing these books. Then, one day, I got another telephone call from American Girl. Editors were ready to plan a new Historical Character. Would I be interested in writing the books? Next month, I’ll share a bit about how that project developed. Stay tuned…. In the fall of 2012, American Girl will launch a new Historical Character. And guess what? I had the privilege and pleasure of creating her. I must quickly add that I was part of a wonderful team. Editors at American Girl chose the era. Once I joined the project, I worked with editors, researchers, and content experts to create a series of six books. Many, many more people are involved with the other elements that go along with this type of major release—including developing the doll which will represent the character. For me, this was an amazing opportunity-of-a-lifetime. I plunged into the research. For the past three years I’ve been immersed in the chosen time and place, and busy creating characters and stories. What time? 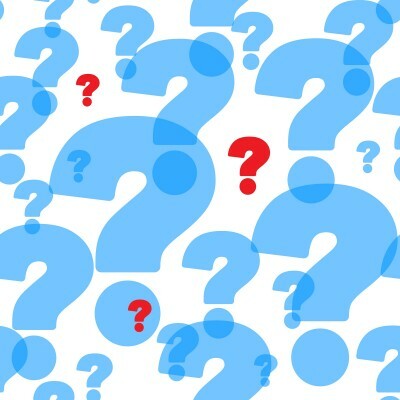 What place? What characters? Well, it’s too early to say. What I can say is that I am very excited! I think girls will love exploring this world as much as I have. If you’d like to be the among the very first to learn more about American Girl’s next Historical Character, sign up for updates by clicking on the blue box that says “Kathleen’s Email List” on the right side of the page. 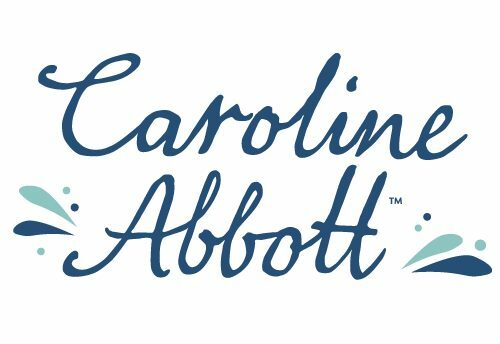 I promise to share more information as soon as I’m able!